* Fine Touch Twist and Wrap Towels are made of a polyester (80%) and polyamide (20%) blended microfiber, these towels are smooth and super absorbent. * They are also stain and fade-proof and easy to clean using a washing machine. * Unlike some towels, you will never have a problem wearing this one. Because of its soft consistency, it wraps up easily on the head. Its tapered edges, on the other hand, ease wearing on most types of hair (including long ones). * Finally, both towels have loop and twist systems that secure them well once worn. You will enjoy using them. How to use : Place, Twist, Loop. * PLACE over the back of your head with elastic loop close to your neck. 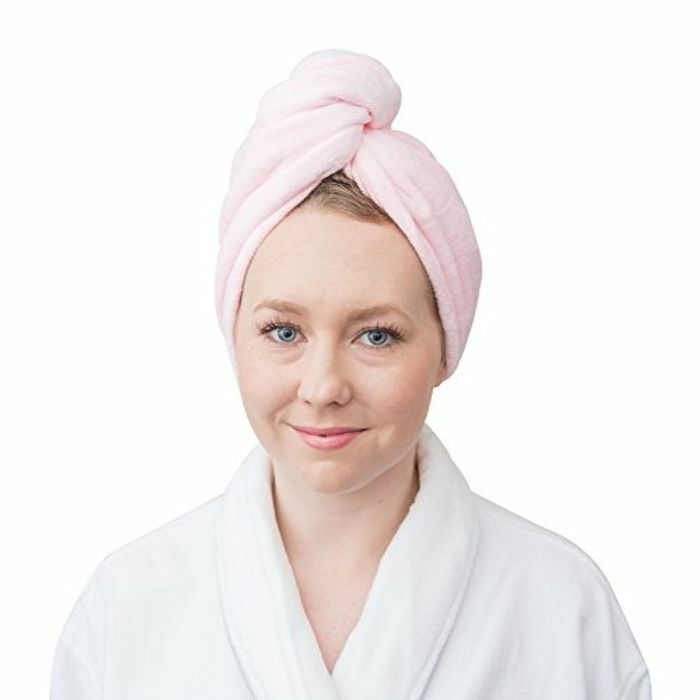 * TWIST hair securely as you would with a normal bath towel. * LOOP twist through elastic band and the hair towel will stay in place. Blue color Microfiber turban hair towel , Extremely Soft, Absorbent, Odor-free and Machine Washable. Ideal Size 25 X 65 CMS, One Size Fits all and comes with 400 GSM. Less Blow Drying! 80% Polyester + 20% polyamide Fiber, Fast Hair Drying without the Frizz. Wet hair towel wrap is with loops and works well with long hair,short hair and curly hair, dry your hair quickly in a natural way and 3 simple steps instead of electric hair blower.Perfectly work for kids and adults of different ages. You will get one single blue turban hair towel.